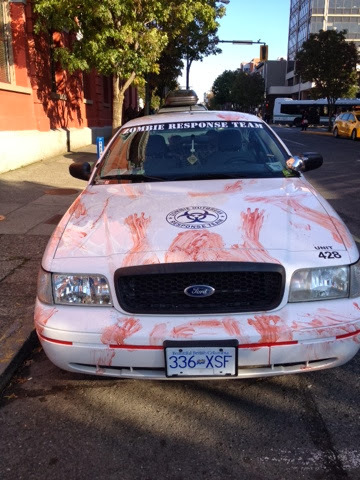 The zombies took over downtown Victoria today. The snarling shuffling herd of the walking dead took over the downtown core and headed towards the Capital City Legidlature building. 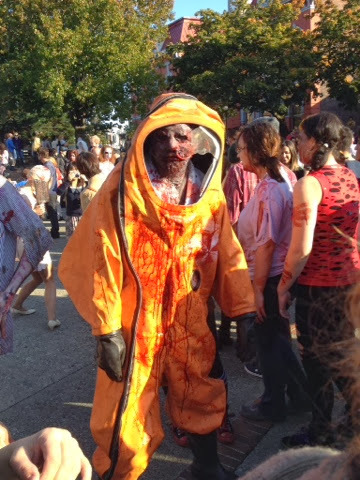 Even the zombie patrol was overtaken by the sheer number of the shuffling snarling horde of the undead. Apparently even lawn ornaments are not immune from the zombie virus. The zombie hunters where outnumbered. 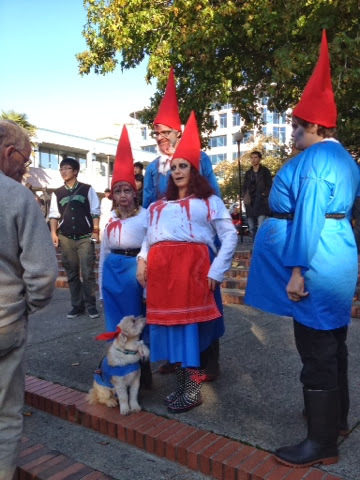 This is what happens on a sunny fall day in Victoria. Zombie nation. 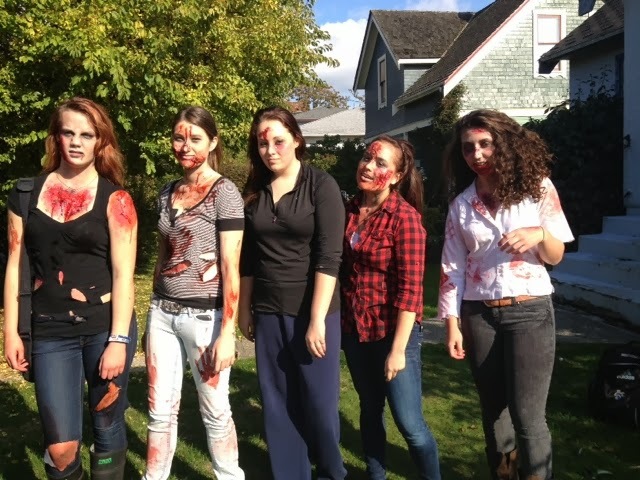 So far in our rural location, there hasn't been an outburst of zombification. I rue the day when their numbers grow and we see them creeping out of the cornfields. 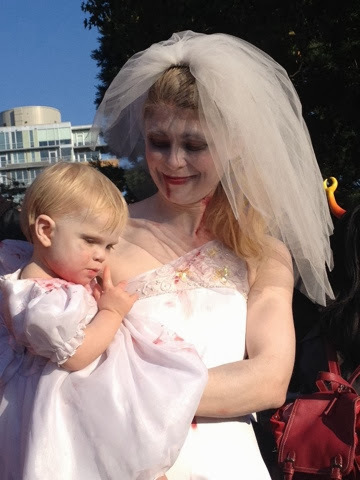 Last august I was in Vancouver when the zombie parade happened. I think it's another manifestation of the awesome law of averages. 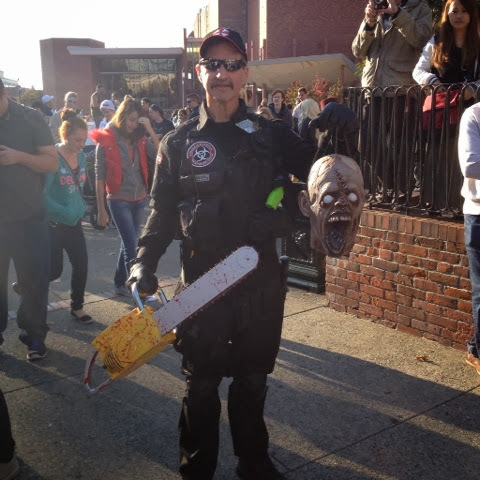 It's so beautiful in BC, that people have to invent gruesome ugliness and parade it to balance the books. We have zombies too, but they disguise themselves as ordinary people, join nationalist political parties, and try their best to kill the economy and drag the province to hell. I much prefer the BC variety. You can clearly see that most of them are (formerly) attractive (formerly) fun loving people. No sight of zombies in Germany (yet), except for the ones that David had described. Gotta love a fun loving crowd. 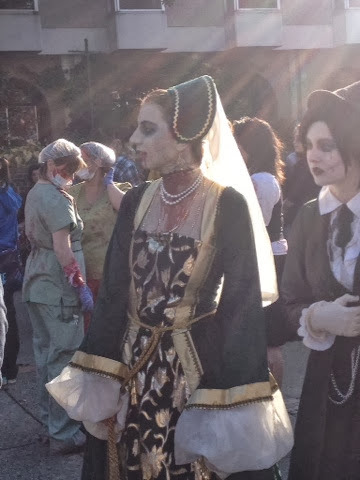 I often wonder where the zombie craze/obsession came from - it is down here too. I don't get it, but it is good people are out having fun. 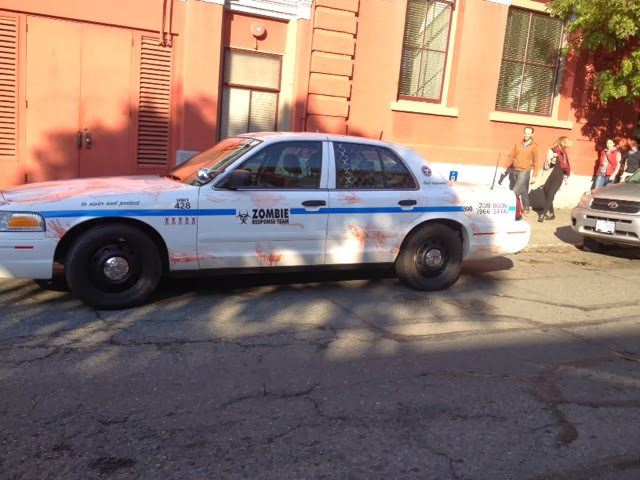 I love the police car with the "body prints." 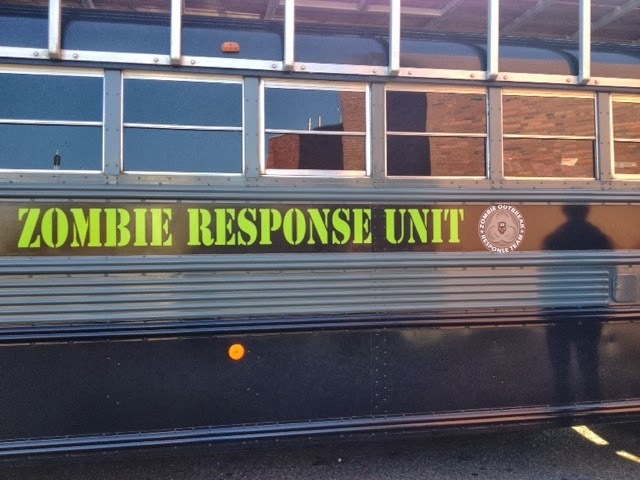 Being from Pittsburgh originally were used to dealing with the living dead. Although I remember hearing somewhere that the current popularity of Zombies has to do with the fact we are afraid we are losing our individual selves in the age of Facebook.